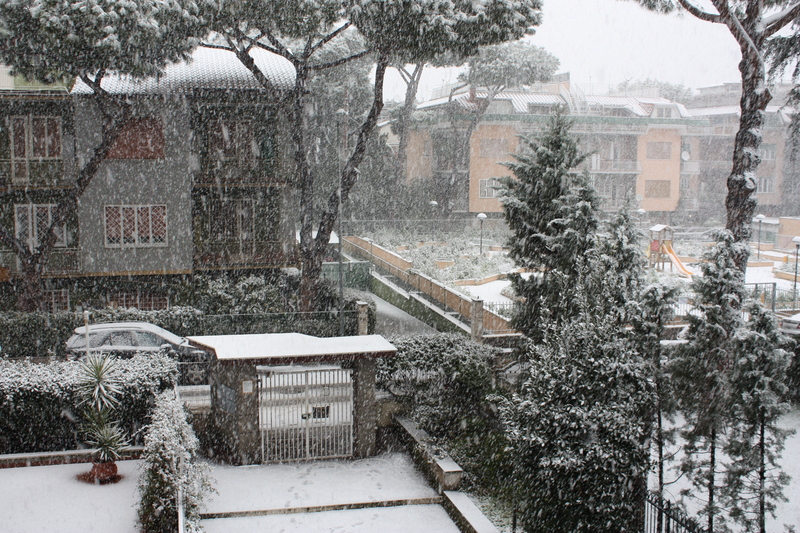 Normally Rome is not a city where we experience snow very often. We are some 20 miles away from the coast and we have a typical Mediterranean weather with mild winters. 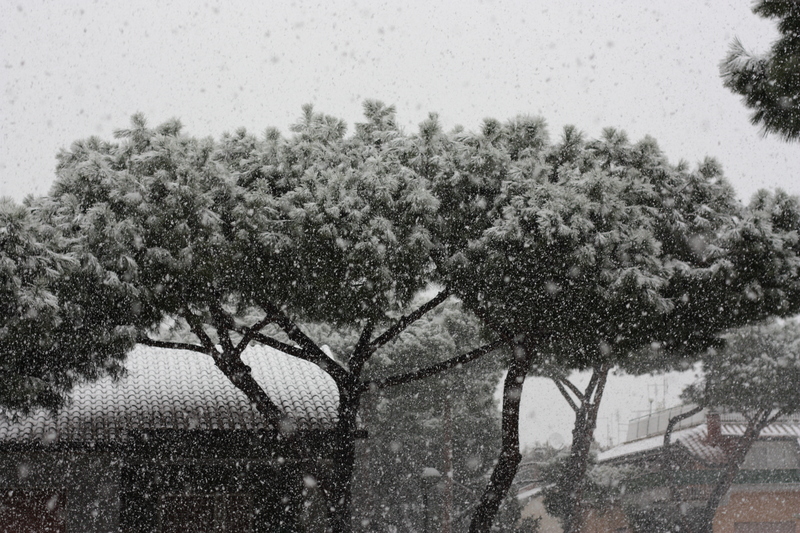 Snow is an exceptional event. Last time we had some snow for a few days it was 1986: it was general chaos!!! Cars, buses and scooters were not snow equipped and the traffic went mad. Schools were closed and it looked like Doomsday! This morning started snowing seriously and the snow was sticking on the streets, but now it is raining again and the snow will melt quickly probably: this could be a real disappointment for the kids coming out of the schools at 4.30 pm! They won’t be able to play with snowballs or make a snowman. The adults driving back home from work instead will be relieved, since Rome is a already extremely chaotic when it rains, guess what could it be with some snow inches on the road surface!